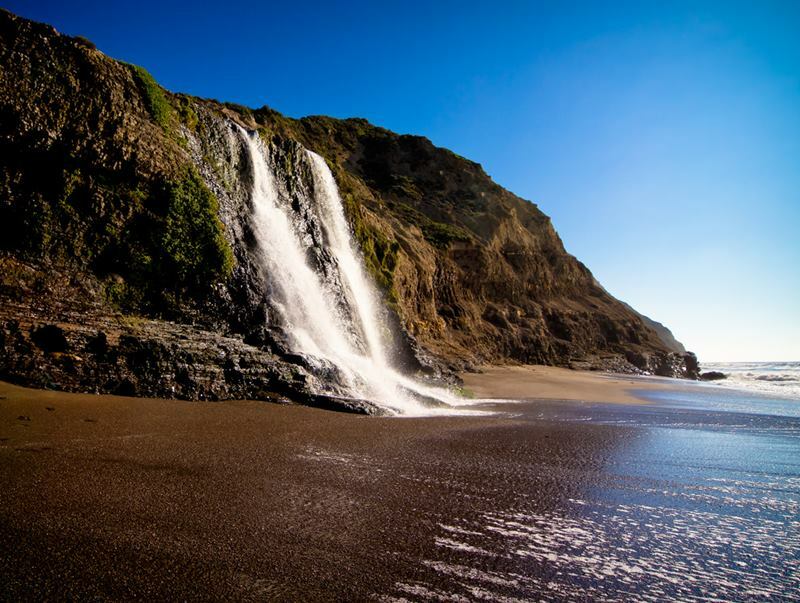 Alamere Falls is a waterfall in Point Reyes National Seashore, Marin County, California. 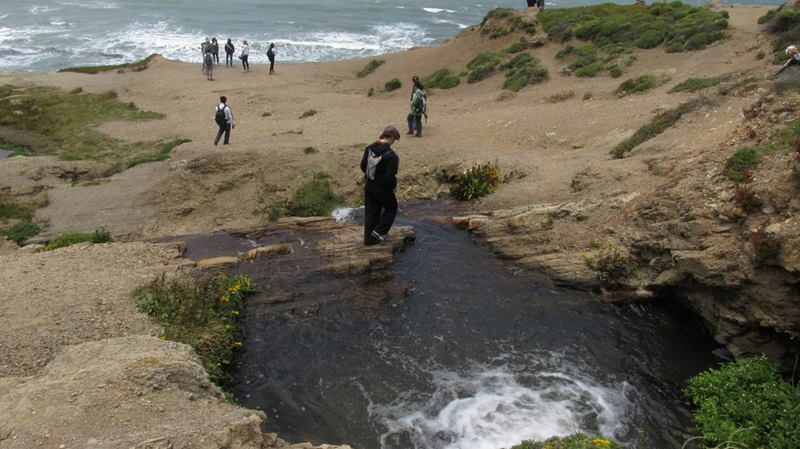 Alamere Falls is a rare "tidefall", a waterfall that flows directly into the ocean. 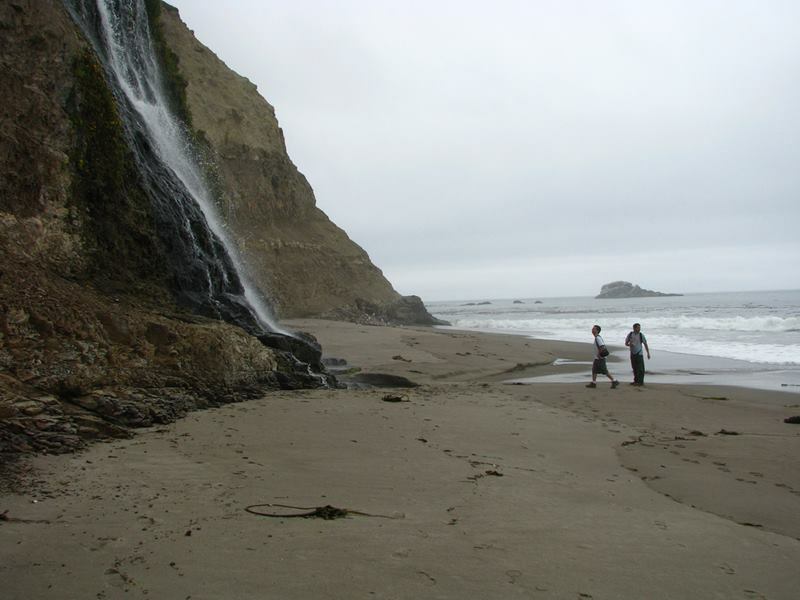 The falls can be reached by following the Coast Trail from the Palomarin Trailhead. 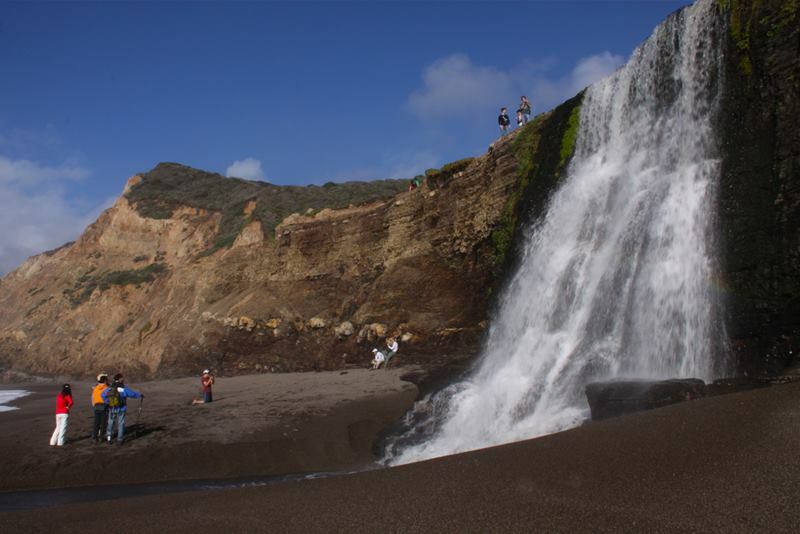 Alamere Falls is an extremely special waterfall, comprised of the upper fall, middle fall, and lower is the main fall. 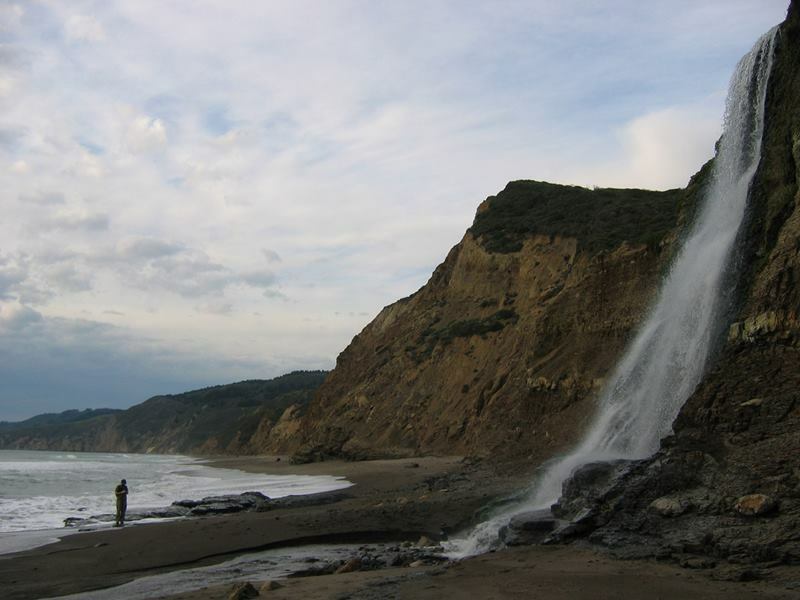 Alamere Falls so unique is that it is 1 of only 2 major waterfalls, also known as tidefalls, in the state of California that plunge directly into the Pacific Ocean. 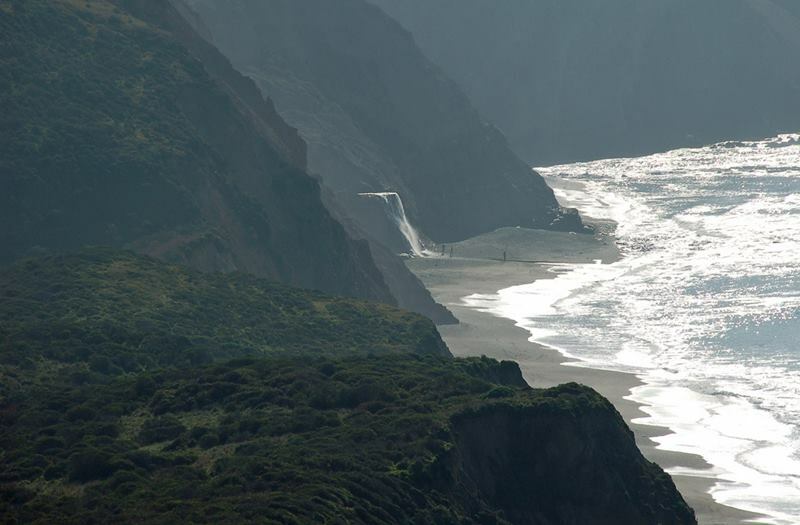 The other waterfall is McWay Falls in Big Sur. 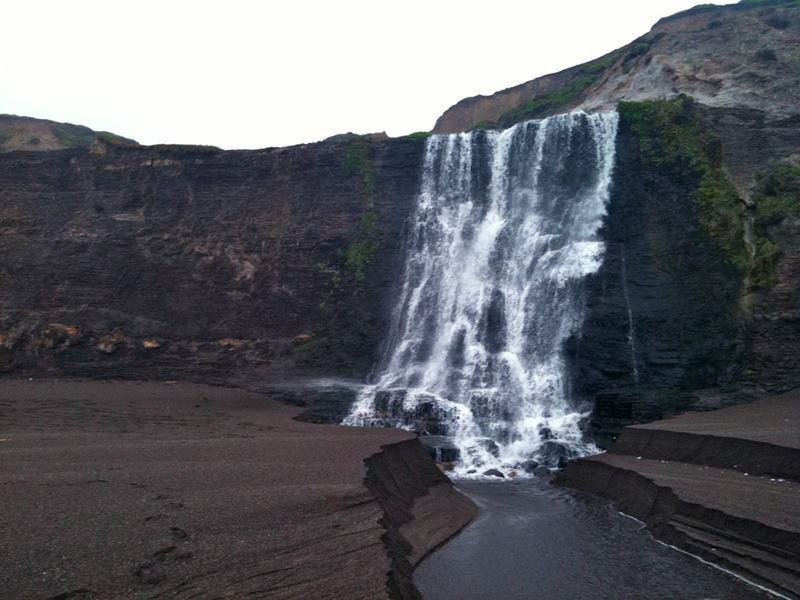 Alamere Falls listed as 1 of the top 10 lesser known most beautiful waterfalls in the world. 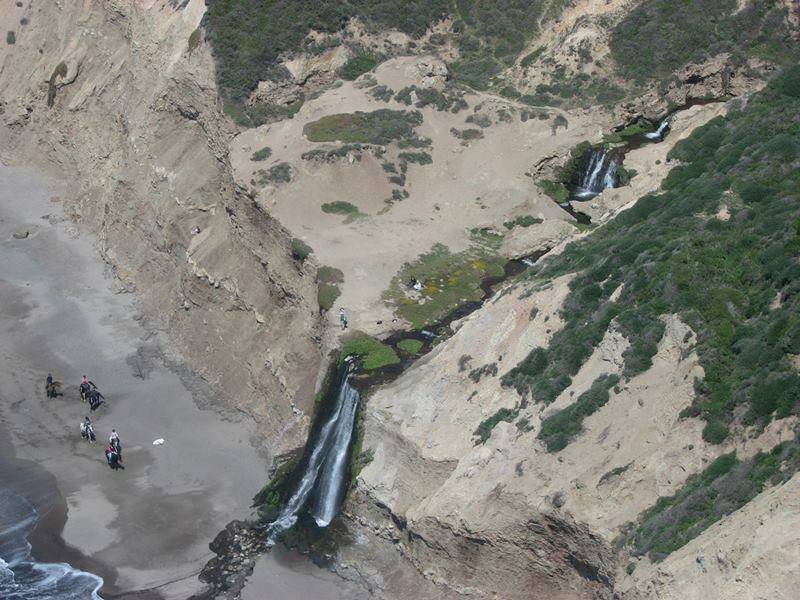 The Alamere waterfall at its best and fullest capacity in late Winter and early Spring, in particular after a good rainstorm. 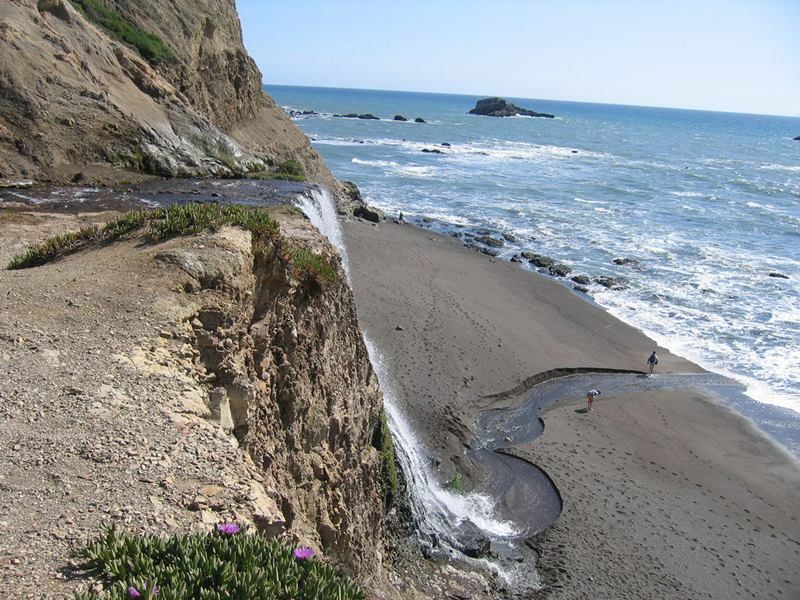 The hike follows the coastal trail for 2.2 miles along some spectacular cliffs with stunning views of the Pacific Ocean. Then, the trail turns inland for the next 1.6 miles as it passes by Bass Lake and Pelican Lake. Finally, a side trail to the left leads 0.4 miles down to the base of Alamere Falls on the beach.